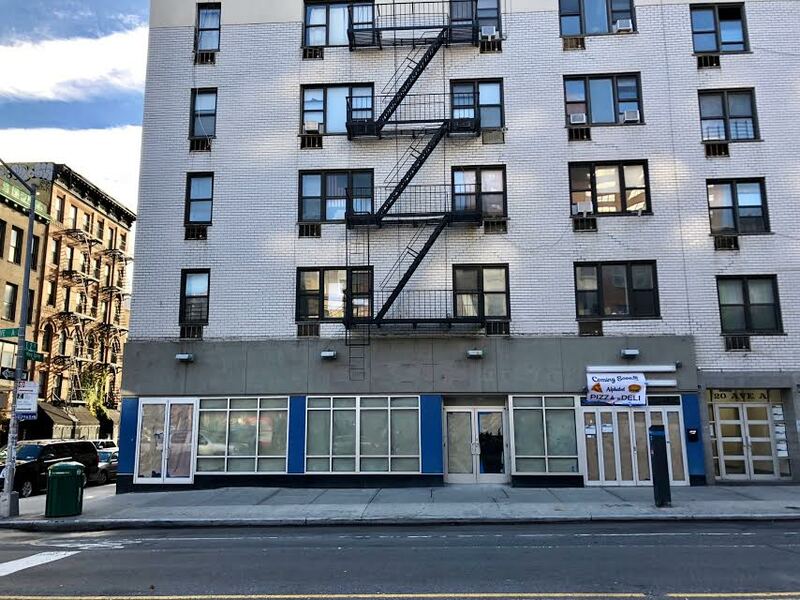 As noted a few weeks back, Alphabet Pizza and Deli will be the first post-Chase-branch tenant at 20 Avenue A. It's not known who the other two tenants might be. 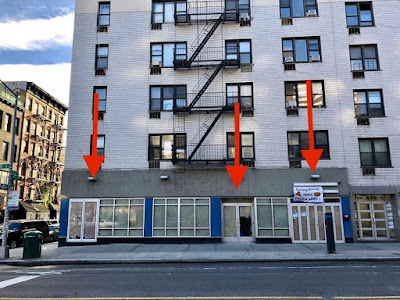 Some possibilities COULD be: Another pizza and deli place. Chase vacated this storefront in November 2015. There have been six or seven different brokers for the space in these past three years. Oy..I'm starting to MISS the Bank. the smaller footprint will keep out a big chain store but don't forget Duncan and Subway like chains. I'll be optimistic on this one. I predict that this is what will happen with more and more of the massive storefronts that developers are putting in the street levels of their new developments - there are only so many interested corporations and chain stores to go around, and there isn't a mom-and-pop in the world that needs 75,000 square feet; in order to finally rent out the spaces, so the inhabitants of these shiny new boxes don't have to walk by dark, empty windows, they'll break them up in an effort to fill them. Well at least the landlords are starting to move a sane direction... Now we just need a vacancy tax to punish landlords for sitting on properties for 3 years!! !